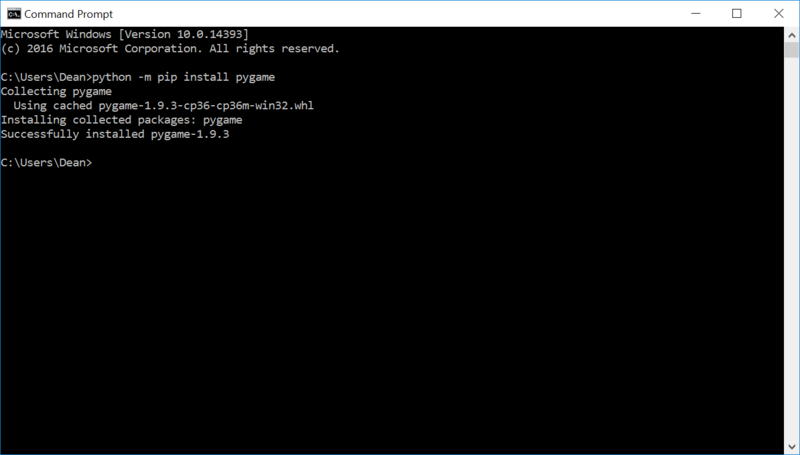 PyGame is our preferred library for developing games and multimedia applications in Python, and it couldn’t be easier to set it up. First, make sure that you’ve got the latest version of Python installed as per our guide here, and that you have an Internet connection. Then, open up a Windows command prompt. You can usually open this by typing cmd into the search box (or Cortana box for Windows 10), then select “Command Prompt”. And then press enter. Pygame should install. Simple! Technical Consultant, Programmer and old-school 8-bit Games Developer.